Okinawa Market, a souvenir shop on Chuo Park Avenue in Okinawa City has been in business over 10 years and sells souvenirs and unique gift items to local and foreign residents and tourists. Habu sake of every kind on display. But the time came for the shop to have a facelift, and it’s now open with new fantastic merchandise corners and expanded selection of items. The specialty of the shop is Habu Sake. 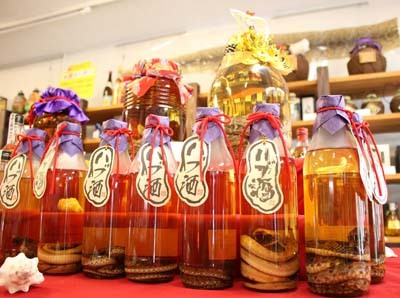 The shop now carries many kinds of different Habu Sake in addition to the traditional Awamori-based products with a snake inside the bottle. The selection now includes a rum based Habu Sake, Habu Sake with gold leaves, and also Habu Sake made with sea snake essence. Habu Sake has a long and distinguished history in the popular culture of Okinawa. In the Ryukyu Kingdom era, sea snake and habu were regarded valuable and luxury ingredients of food and medicine for the nobility. Since then, Habu Sake has been used as traditional tonic medicine in Okinawa. Although habu sake is traditionally made with Awamori base, other variations are also available. 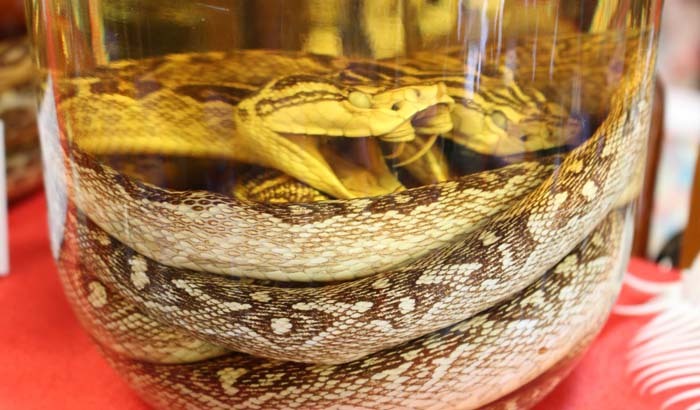 To make Habu Sake, the snake’s body is processed appropriately to detoxify it and then bottled in 118-proof alcohol. After that, it’s left to mature for over 10 years. Finally, the snake is placed in a bottle with Awamori and lots of herbs. Because of the careful process, Habu Sake has a smooth and mild taste. The entrance to the shop is on Chuo Park Avenue. It’s said that Habu Sake has many good effects for one’s general health, and it’s also said that Habu itself brings good luck. That’s why it’s considered a good gift, collectible for display and, of course, good for drinking. 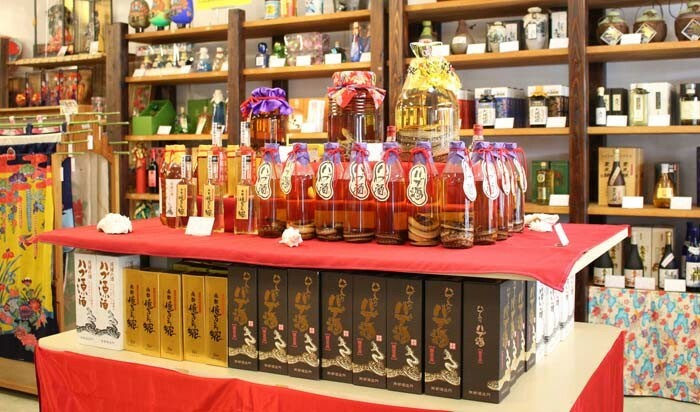 In addition to sake, Okinawa Market now has other renewed corners that feature Ryukyu glass, Shi-shi, Okinawan famous Orion Beer design T-shirts, books, and more. 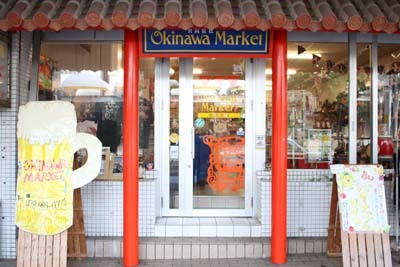 To get to Okinawa Market, going towards Korinza Mall on the one-way Park Avenue. The shop is on the left just before the only traffic light on the street. There’s no parking on the street, but toll parking is available nearby and Okinawa Market will give a free one-hour parking ticket to customers for purchases of ¥1,000 or more.